In recent years, more and more people are choosing the mutual fund route as a means to create wealth. This is especially a preferred choice among many beginners who are looking for exposure into financial markets. Mutual funds are investment vehicles where savings of various investors are pooled together under a particular scheme, which is managed by an asset management company (AMC). The funds are then invested in securities such as equity shares and bonds, in accordance with the scheme’s investment objective. A fund manager, appointed by the AMC, is made in charge of managing the investment portfolio as per the market movements to generate wealth for the investors. Income is earned in the form of dividends on stocks, interest on bonds or capital gains. Now, if you are thinking about making investments in mutual funds, you need to ensure that the fund(s) that you choose are in line with your goals, horizon and risk profile. Given that there is an array of scheme options, it is essential to select the best mutual fund for you so that your investment objectives are fully met. In this article, we will look at how you can go about identifying the best mutual funds to invest in India and how to make the most out of your investments. To begin with, there is no such thing as the perfect mutual fund portfolio. The very first thing you need to do is note down your goal for the investment. It is advisable to have a separate portfolio for different financial goals, or club those that are similar and have portfolios for them. By identifying the goals, you will get the precise answers to questions like how much money you require for the goal, when will you be needing it and how much returns you should be targeting. To find out what are the best mutual funds to invest in India, there are a number of factors that need to be taken into account. Look for those that come from reliable fund houses and have a history of performing above par when compared with benchmark and peer groups. Do not simply make past performance the sole criteria. The best performing mutual funds in India can be regarded as those that have delivered consistent returns across different market cycles. The best way to reduce risk is by diversification. Why? Well, it has been observed that when the stock market is at its low, individuals who have invested across different asset classes are less affected when compared with those who have put all their money into equity mutual funds. A safe bet is to spread investments across equity mutual funds, debt mutual funds, tax saving mutual funds, cash and gold. The negative correlation between equity and gold can work to one’s advantage. Now, diversification does not only mean parking funds into different schemes for minimizing mutual fund's portfolio risk. If you want proper diversification, you need to invest in schemes having varying stock holdings, market risk factor, benchmarks, etc. To decide on the asset allocation, one of the biggest influencers can be the age factor. A commonly cited rule for equity allocation is the ‘100 minus your age’. This would imply that who are young, should be willing to allot more towards equity mutual funds. Going by the rule, investors who are 25 years of age should have 75% in equity allocation and those who are 30 years of age should have 70% of the portfolio leaning towards equity mutual funds. The time factor is another critical component to be factored in while diversifying mutual fund investments. The effects of stock market volatility are lower as the investment horizon increases. Invest more in equity mutual funds if the time horizon is longer. If the holding period is less than three years, then debt mutual funds are a more suitable option. There is also the time available to attain a particular goal that must be taken into account. However, it must be noted that even if all the goals of a young investor are long term, the entire allocation must not be towards equity mutual funds, rather only a larger proportion should be. The investment portfolio needs to be balanced as the risk of putting the entire savings only into equity mutual funds is simply too high. What Mistakes do People Make with Mutual Fund Investments? Not everyone who invests in mutual funds, even in those they think are the best performing mutual funds in India, is able to achieve the expected returns. This can be attributed to some misinformation or misconceptions they’ve believed to be true. One of the common mistakes people make is confusing dividends to function in the same way as corporate dividends. A dividend in a mutual fund is not an extra return on the fund. When a dividend is declared, the withdrawal will be from the account and that reduces the net asset value. Another mistake that people often make is assuming that balanced funds are regular return products. Balanced funds, similar to other equity funds, can be volatile and therefore, no income is guaranteed. Also, financial experts are recommending potential investors take caution while investing in debt mutual funds, since there is an element of risk that comes along with them. Debt funds are not risk-free - like many believe - just that the level of risk is lower. Therefore, before investing in debt funds, factor in credit risk, interest rate risk and expense ratios. How are Mutual Funds Better than Other Investment Options? Money that lies unused will eventually lose its purchasing power if it is not put into appropriate channels of investment. Mutual fund investments are a popular option, given its multiple advantages, such as professional expertise, diversification, returns, etc. 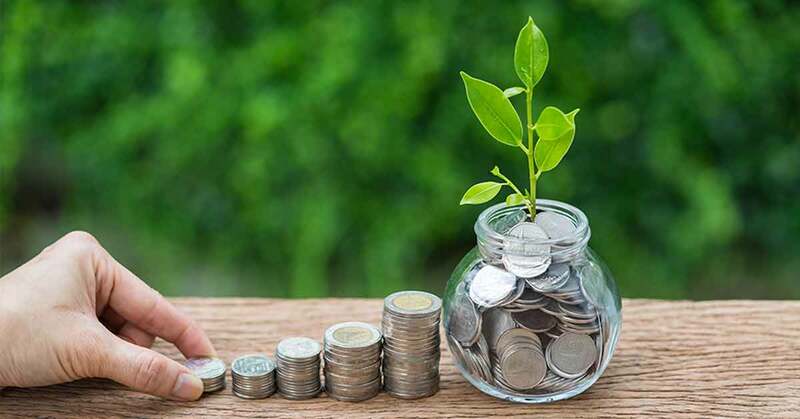 Debt mutual funds are a suitable alternative option to fixed deposits, while ELSS mutual funds and tax saving mutual funds are a favourable option to Public Provident Fund. Mutual funds do carry an element of risk, but there also lies the possibility of them fetching better returns compared with other investment options. Before putting money anywhere through this investment vehicle, it is important to first identify what are the best mutual funds to invest in India. Shortlist the best performing mutual funds on the basis of the factors mentioned in this article to know what will be a suitable option for you. There are a number of mutual funds calculators available online that you can use to check the investment amount at maturity for different mutual fund investments. You may be asked to input the nature of investment, scheme name and duration of investment, among other things, in the mutual fund calculator. This way you will be able to find out what are the best mutual fund to invest in. We hope this article has been helpful in understanding how to invest in the right mutual funds in India. Remember, the best mutual fund for you will not be the same as for another individual. Make sure you are thorough with what your financial objectives are and then select where you want to invest in.